When I first saw the game “Scream Ninja Go Pro” on social media, it was as part of a funny video of someone screaming at their phone. Now that I have played the game myself, I can see that there is a lot more than that to “Scream Ninja Go Pro.” The game is found on both the Google Play and Apple App Store. It has 2.4 stars on the Google Play store, and I agree with that sentiment. The game is a classic two-dimensional platform scroller, meaning that the main character, the ninja, jumps and runs from one platform to another to reach a high score. This is nothing new to the gaming world— some of the most famous games in history are 2D platformers, like Super Mario Bros for example. This game, however, comes with a twist that makes it extremely unique compared to others: It uses the microphone feature on phones as its movement system. In “Scream Ninja Go Pro,” the ninja moves by the sound of the player’s voice. When talking or speaking normally in the phone speaker, the ninja moves forward, and screaming makes the ninja jump. The louder the player screams, the higher the ninja jumps. This unique twist is what makes this game so much fun. I have never seen a game use the microphone feature this way before. Using the microphone also comes with unforeseen consequences: The game is difficult. It has a learning curve where the player has to try and figure out how loud he or she has to be to make the ninja walk forward and jump higher. While it may just be me, I found it challenging to find the sweet spot for how high and far to make the ninja jump, and I still struggle with the movement even after playing it for a couple of days. This can be a problem because, while the game is fun and its level of difficulty is not necessarily a negative, it is a problem if the only way to play the game is too hard for the user to actually accomplish. If the challenge does not deter players, the game’s ridiculous amount of advertisements that players must watch might. An ad plays after every single death, which is especially problematic because the game is hard and the player dies a lot. These two issues coupled together might turn players away from the game, as it did for me. A lot of the reviews on the Google Play store state that the game glitches and freezes multiple times or does not work at all. 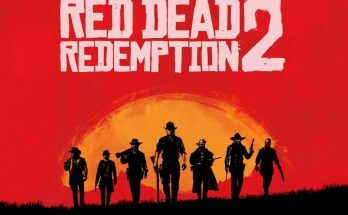 I did not experience this myself, but with over 240 reviews, and a majority being one stars, something is clearly wrong with the game. 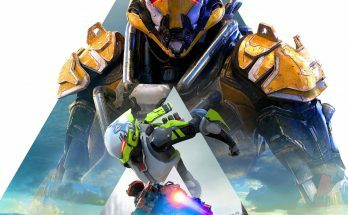 I did enjoy my experience early on, but the more that I played, the more it aggravated me. This game, which it might entice players at the start, is too over-advertised and ill-designed to stick with players for any significant amount of time. 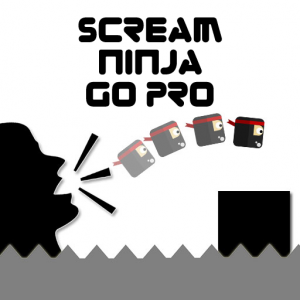 “Scream Ninja Go Pro” will soon be another app store hit that nobody remembers a year from now.